Asking for the reaction of African Americans to Wilson's speech on mob violence. 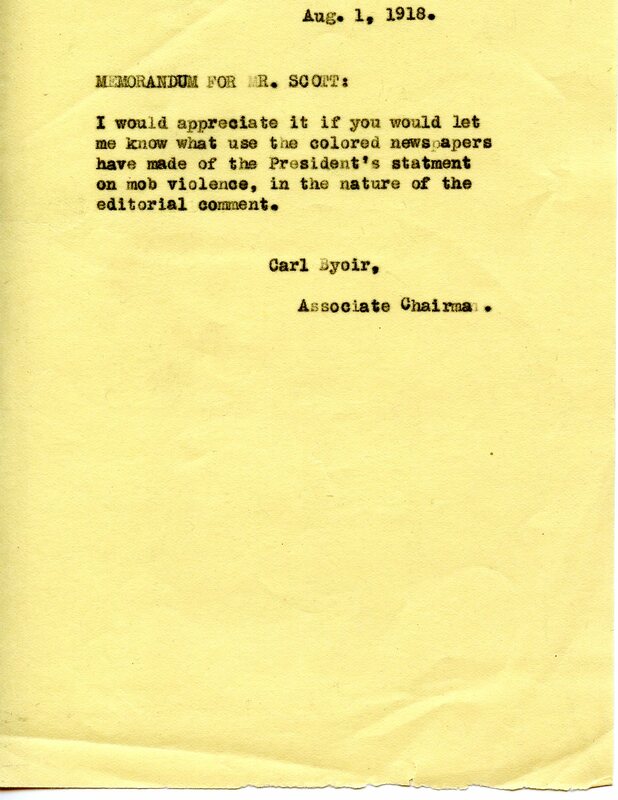 I would appreciate it if you would let me know what use the colored newspapers have made of the President's statement on mob violence, in the nature of the editorial comment. 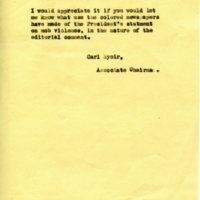 Byoir, Carl Robert, 1886-1957, “Carl Byoir to Emmett J. Scott,” 1918 August 1, PI080118a, Race and Segregation Collection, Woodrow Wilson Presidential Library & Museum, Staunton, Virginia.